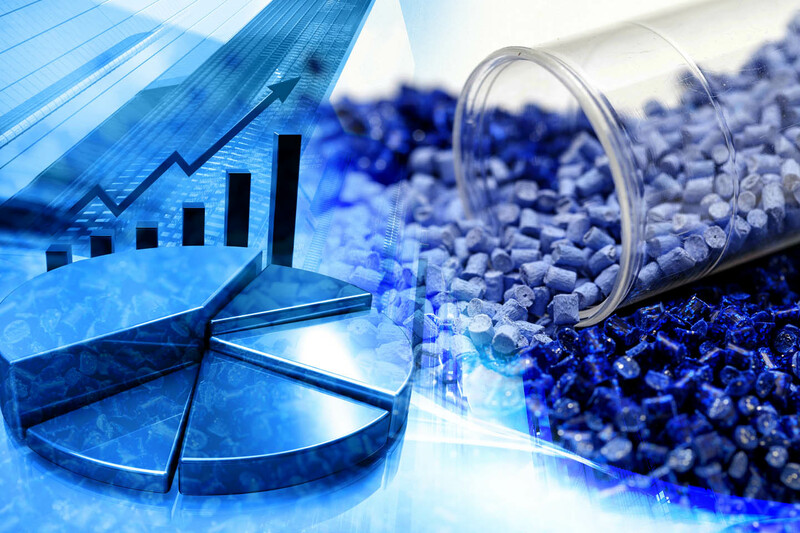 Turkey showed an 8% growth in 2017, the plastics industry. At the end of 2018, we expect a turnover of 36.5 billion dollars with a contraction of 6% on quantity basis and a processing capacity of 9.5 million tons and a 5% decrease in value. In this decrease, the slowdown in economic activity in many sectors such as automotive, white goods, construction, electrical-electronics and furniture has been one of the effective factors. The impact of exchange rates in 2018 was also driven by higher oil prices since last year. 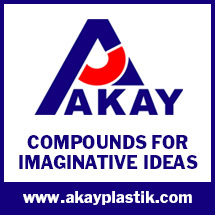 Thus, the rise in raw material costs, the rise in interest rates, the collapse in sales and investments generate the background of the stricture in the plastics industry. The upward movement in the exchange rates has made the raw material used by the sector expensive. However, it is not easy to adjust the costs of the manufacturing industry as much as the financial markets; the unsteadiness in exchange rate increases the uncertainty. This negative outlook was added to the recession of credit channels and the sector left behind a very difficult year. The most positive development in this process is the increase in exports. As of the end of 2018, we expect to increase 25% in plastic raw materials, 10% in plastic products and 30% in plastic processing machines. 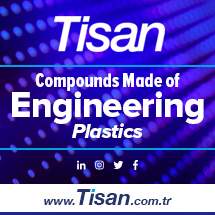 In terms of plastics industry in Turkey in 2018 will be the stage for 2019. We anticipate similar developments. The contraction in the sector is expected to continue in 2019 as well. In addition, we have expectations for an increase in the share of foreign markets. We foresee a year of export-oriented. On the export side of raw materials and finished products, we are expecting to make more than 6.5 billion dollars of exports with an increase of 15%. 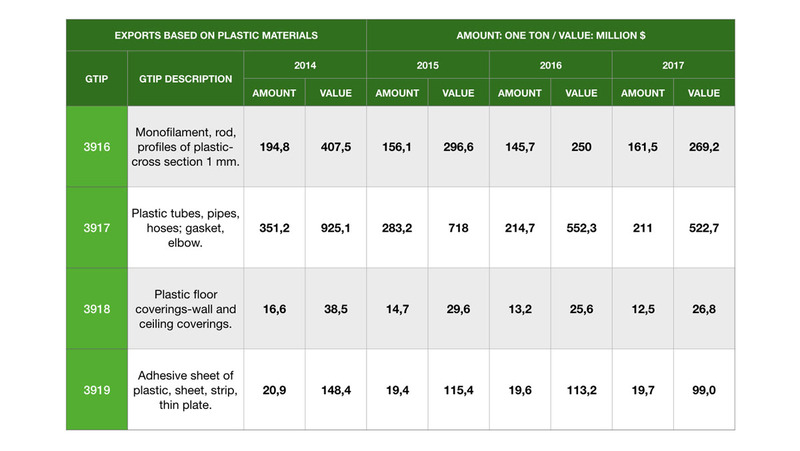 Plastic Industry, agriculture, defense industry, clothing to the automotive sector provides a very different number of input to a sector that produces intermediate goods. Although the products that produced in the sector are generally used as intermediate goods, they also play a role in facilitating the daily life with the final products they produce. Durable consumer goods, automotive and electronics, such as the main locomotive for sectors that are engaged in manufacturing sectors; is an important supplier for the services sector, such as the sector and packaging materials. The global plastics industry is witnessing the build of continuous production bases for low-cost Asian countries. The growth trend in the plastics industry is observed by the combination of the increasing foreign investments and the increase in the number of production facilities in Asia Pacific. In particular, Chinese and Indian income levels provide enormous potential to end-users, by increasing their overall production and capital investments, rebuilding consumer/work safety, for example by generating automobile demand, or by creating growth action across all end-use markets. The growing demand in the automotive, mining, chemical, construction and agricultural sectors also provides the driver power quality by trends in the Asia-Pacific plastic market, such as durable products and globalization for urbanization. 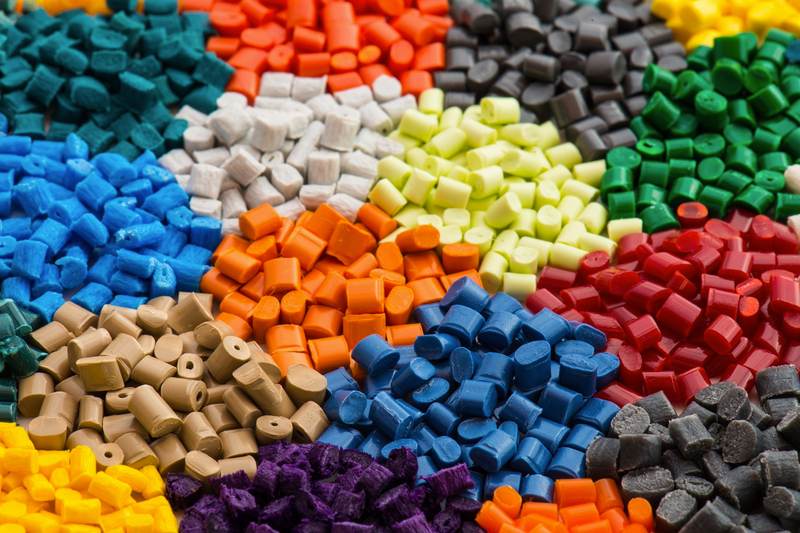 Polypropylene (PP) and the demand for polyethylene (PE) in Asia are expanding in the automotive sector with rapid growth, fueling widespread industrialization. 1) Plastics have a great role in our national economy. 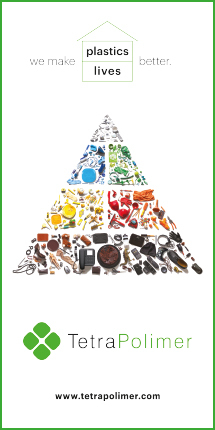 2) On a global scale, LCA (Life Cycle Analysis) studies are the only research method on a global scale that explains the impact of plastic on the environment (in terms of consumption of natural resources such as raw materials, water, oil, and energy use). According to these studies, plastics are the most environmentally friendly products by comparison to their alternatives. Sectoral products provides various advantages, according to scientific data and observations, compared to it’s alternatives. Medical devices, solar power panels, computers, furniture, wind turbines and many other areas of our life that raises our quality of life are indispensable parts. As one of the most effective economic crises in history, the tenth year of the 2008 Global Financial Crisis has been left behind; the world economy continues to recover especially under the leadership of developed countries. In the main driving regions of the world economy, particularly in the United States (USA) and the European Union, the effects of the crisis are gradually being replaced by recovery. Especially in 2017, these countries contributed more than 3% economic growth compared to other years. Developing countries’ economies have entered into some slowdown process in this period. In this process, the economic policies implemented in the countries that are the locomotive of the global economy, play an important role. After the 2008 global crisis, it is possible to discuss the economic policies implemented and the effects of these policies in three phases. The first phase is defined as the monetary expansion process implemented by the central banks of the leading developed countries in order to mitigate the effects of the crisis. During this period, a significant amount of liquidity was provided to the markets under the leadership of the Federal Reserve (FED) and the European Central Bank. This resource increase, which does not yield the desired result for the emergence of developed countries from the crisis, has turned into a serious fund flow for developing countries. During this period, China, India, Brazil, major developing countries such as Turkey, has become the engine of global economic growth. The second phase in terms of the policies implemented after the crisis was initiated by the Federal Reserve in 2013. With the introduction of this process, liquidity injection was terminated and the reactions of the economies of the country to the increasing global supply of money in the first phase were tried to be understood. The end of this phase was realized especially in developed countries with the increase in demand and the acceleration of inflationary pressure, the decrease in unemployment and the accelerated economic growth in developed countries. The third phase that we are in at the time of the exit from the global crisis is the rate hike with inflationary pressure or in other words the monetary tightening process. The US National Bank, which also pioneered this process, has been the pioneer. In 2016, FED started to increase its interest rates in a controlled manner and accelerated the return of the resources it offered to the market for the exit from the crisis. One of the most important effects of this development was the rapid appreciation of the US dollar against other currencies, and in the previous years, the investment environment and financial conditions, which were more appropriate for developing countries, began to turn into a relatively negative outlook. 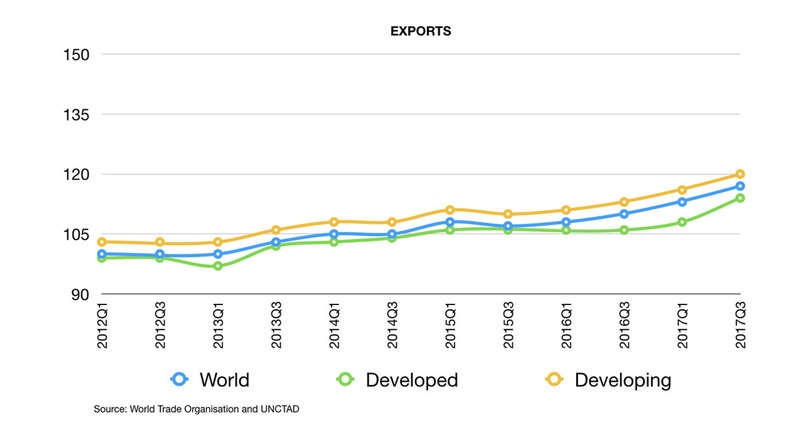 Despite all these macro framework changes, the volume of international trade in 2017 has shown a positive trend for both developed and developing countries. The mobilization of global trade and the positive course in the developing countries are now accompanied by a rapid increase in developed countries towards the end of the year. Although the increase in trade in developed countries in the first half of 2017 was 2.3%, the acceleration in the second half increased and a strong increase of 4.3% was achieved. 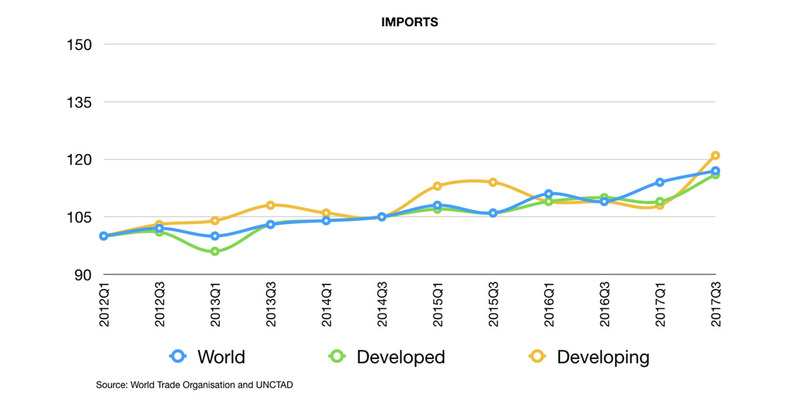 In developing countries, the trade volume, which grew at a rate of 7.2% in the first half of the year, was close to this performance with a 6% increase in the second half of the year. 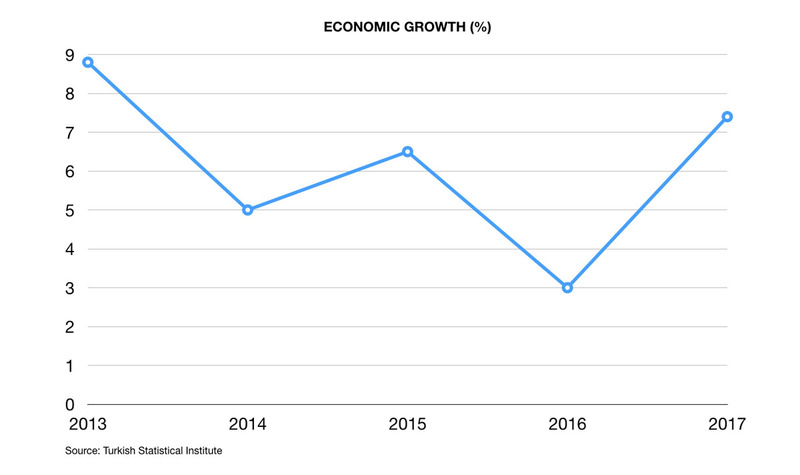 The growth of economic growth in advanced economies in the second half of the year is seen as the main determinant at this point. In terms of export volume, both developed countries and developing countries performed better in the second half of 2017 than in the first half. In 2018, which started under these favorable conditions, the main problem faced by developing countries with the pressure created by monetary tightening was the closing wars that were initiated by the US President Donald Trump and increased the worries of the increasing barriers to global trade. After his inauguration in 2017, US President Trump resigned from the EU-US Free Trade and Investment Trust (TTIP) and Trans-Pacific Partnership (TPP) agreement processes, which were in progress for the first time since 2012. As of the end of 2017, the EU decided to increase tariffs in trade between the US, some countries and various goods and services, especially in Mexico, Canada and China. Some of the countries in question (such as China) have responded to these increases with similar tariff increases, and these developments have led to increased doubts about the improvement achieved in recent years. On the other hand, the recent rise in geopolitical risks and political uncertainties has led to deterioration in markets. Risk expectations for the Middle East, especially for the Jerusalem and Syria issues, are increasing. The US Government’s withdrawal from its nuclear deal with Iran and a two-stage trade embargo on Iran has emerged as a new risk for the development of global trade. The tension between the oil trade and the other countries that trade with Iran within the scope of the embargo on the trade with the two-stage embargo (and the incompatibility between the EU and the United States on this issue) will adversely affect global trade. The increasing tension in US-Russian relations and the new sanctions on the agenda as of August 2018 cause more uncertainties for global economic growth and global trade. Finally, another risk to global economic growth is the increased commodity prices due to the geopolitical tensions. In addition to the restriction that Iran will face in the oil trade with the US embargo, the risks that may arise due to the deviations in oil prices will affect global trade and growth negatively. Tensions in the Middle East and OPEC’s decisions regarding oil supply cuts have caused an increase in oil prices. All commodity prices increase in parallel with these developments. Turkey and Saudi Arabia among the leaders in the production of raw materials to the strengthening of bilateral relations with Middle East countries will lead our country in terms of encouraging new investment opportunities and will create an environment of trust. 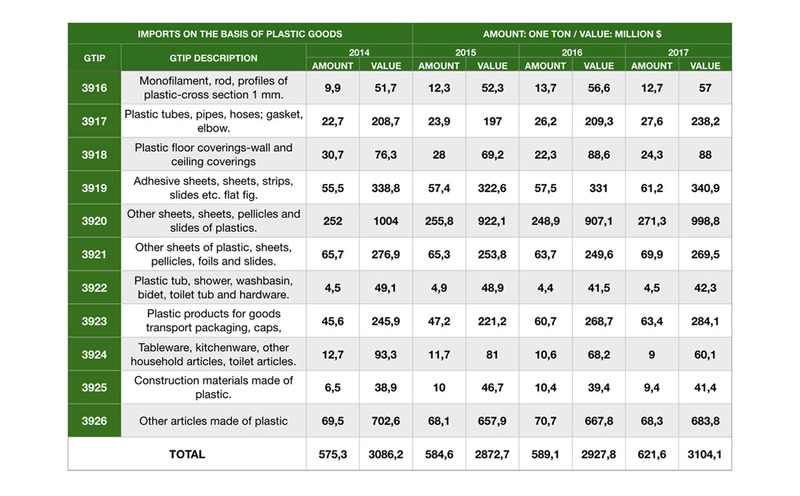 Although plastic products used in the packaging industry cannot reach the top 10 in the world rankings according to the construction sector, this sector can gain some momentum. Especially in the indispensable part of the indispensable food industry, plastic food packaging sector should increase our global competition. 1) Lack of LCA (Life Cycle Analysis) studies in our country. 2) Adequate scientific research despite the fact that we have successful scientists that studies plastics effect on human health to be held in Turkey and our scientists to promote research. 3) In the EFSA (European Food Authority) studies, the lack of adequate Turkish scientists is a problem. damages trust in international trade. 5) We are not able to disseminate the technology culture in our SME-scale enterprises, and we are under the threat of competition in the other countries in terms of product diversity and innovative product development in global competition. 6) Turkey’s oil importing country can’t provide the required capacity in the raw material manufacturing of plastic monomers and hence plastic raw petroleum based can’t suffice the domestic demand, in this sense can’t contact the export volume. Therefore, our foreign trade deficit is increasing. In order to avoid this situation, the investment of Middle East countries, where the oil volume is high, should be encouraged. 7) The problems experienced in the procurement and implementation of standardization pose problems in national and international trade in terms of product safety. 8) All plastic firms are not registered, there are methods to register firms and there is a lack of coordination between the ministries. This situation leads to unfair competition in the sector. 9) Although there are incentives in Eastern Anatolia and Black Sea regions, investments still do not occur. Trust and information platforms should be established for investors to invest in the plastics industry in these regions. 11) Test labs in our country, plastic tests are experiencing various difficulties. Each test cannot be performed in every laboratory and is done in some laboratories, which makes the process difficult to operate. In our chemical laboratories located in some of our customs, there are non-standard results due to the fact that they are old type equipment which is not in compliance with the standard, this creates problems in customs. 12) Nationwide Efficient Energy Efficiency Program is not created. Fragile features of Turkey’s economy at this point, began to emerge with more negative economic and political environment and global developments in the aforementioned countries. The depreciation process of TL, which started with the decision of FED to stop monetary expansion in May 2013, accelerated in 2017 and reached almost 60% in the first 9 months of 2018. In this respect, the two main problems of Turkey’s economy that has become more pronounced with experienced changes in exchange rates; high foreign trade deficit and increased inflation. High external deficit: Turkey, the monetary expansion process carried out by the Fed and other major central banks in the wake of the global financial crisis has been one of the most positively affected countries. experienced a substantial increase in external financial inflows in monetary expansion process in Turkey’s economy, a faster pace of growth has been maintained with the source input caught and economic dynamism. In this period there is plenty of input sources, however, Turkey’s imports also experienced a significant increase in external financing to fund open entry has emerged. 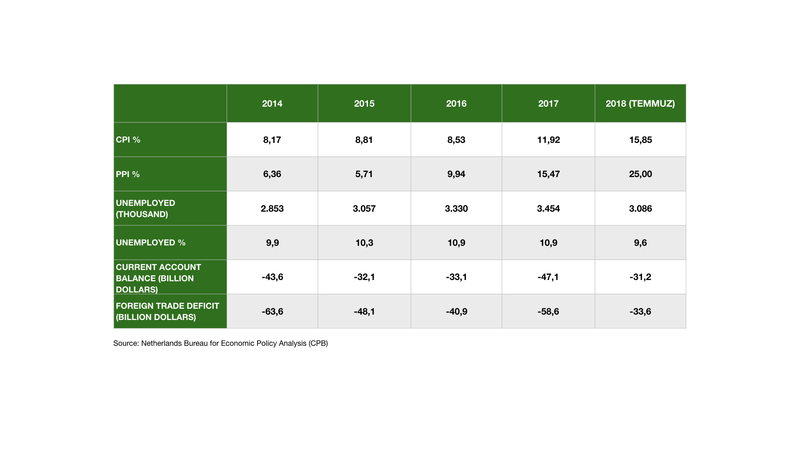 But the Fed’s interest in parallel with entering the auction process outside access to finance Turkey’s economy began shortages and an increase in financing costs, trying to keep the same pace of growth pace has led to the agenda again in Turkey’s current account deficit. year as of 2018 is 60 billion due to expected current account deficit, together with the financial sector in approaching foreign debt payments have increased the risk of Turkey’s foreign obligations, this increase has led to substantial increases in funding costs. In addition to the deterioration in the current account deficit, banks and companies are considered to be the most important problems in terms of the financing requirements for 2018 and the following period. As of the end of 2018, with the depreciation of TL, it brings important opportunities for exportation, with serious cost increase, loss of competitiveness and contraction in domestic demand which brings serious problems for imported raw materials and manufacturing sectors. While all these conditions bring serious opportunities especially for foreign companies, the main market is a challenging process for the domestic producers. The report of the ongoing from this point primarily dealt with the developments in global markets, the evaluation was made after analyzing the current situation in the sector in Turkey. These developments in macro scale caused serious uncertainties, cost increases and economic turbulence in the financial markets as well as in the goods and services markets. Since Turkey’s economy in 2010, the average annual export value of average imports amounted to 224.55 billion dollars was realized as 144.25 billion. After the foreign trade deficit reached a record level in 2014, there was a decline in 2015 and 2016. 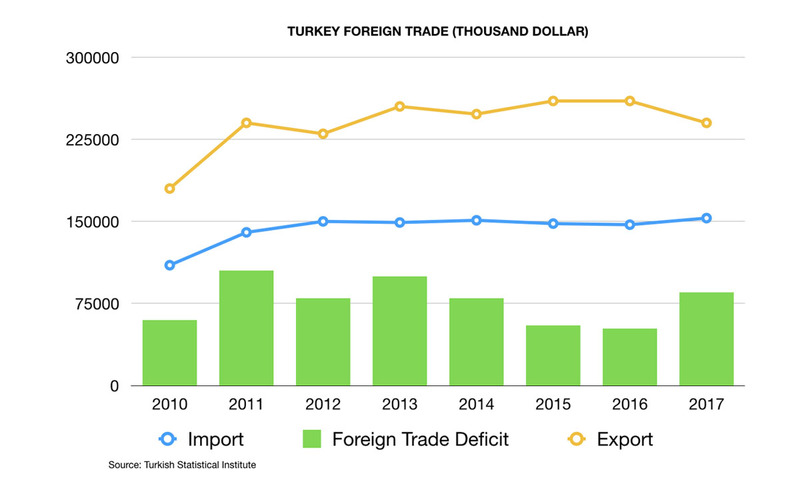 Considering that the foreign trade of Turkey’s economy is closely linked to growth performance, foreign trade deficit in 2016 was at the lowest level in nine years. On the other hand, in line with the rapid economic growth performance achieved in 2017, the foreign trade deficit also increased to 56.8 billion from 40.9 billion dollars in 2016. Turkey’s overall exports in 2017 increased by 10.1% compared to 2016, but the current account deficit has deepened, as shown in the table with an increase of 17.7% in imports.